Classic campers for a special day. 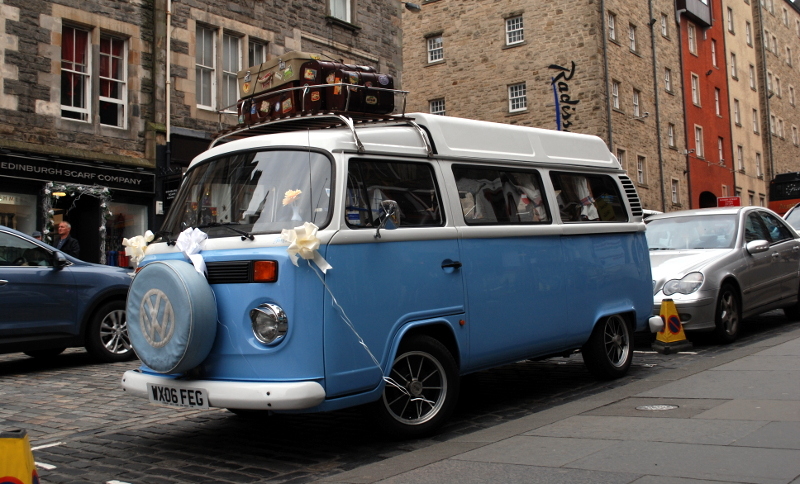 Subject to availability our classic campervans are available for wedding hire on a chauffeured basis. We can cover your wedding across Edinburgh, East Lothian and The Borders and we can supply from a choice of 5 vehicles. For a day like this we can put as much or as little into the package as you like. 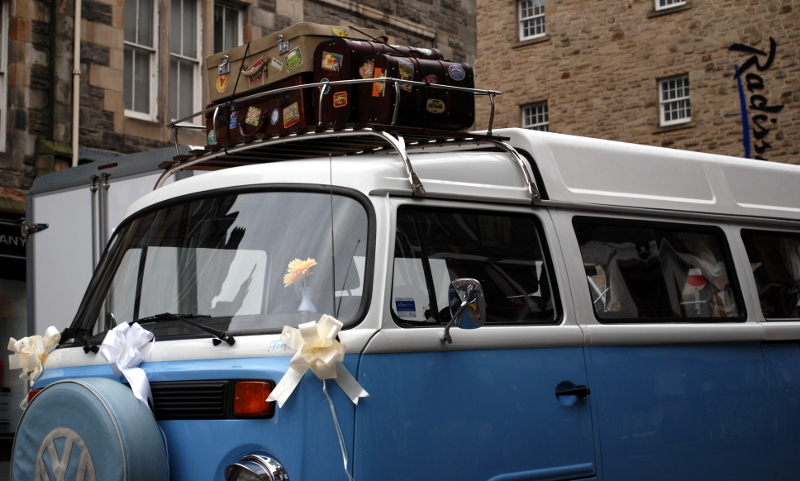 For example, we will prepare the bus with our ribbons and flowers – we also have some special period luggage which looks great on Tilly’s roof rack for the trip from the ceremony to the reception. Whatever you would like it’s fair to say that our T2s would provide the most stylish transport possible. We quote on a requirement by requirement basis with these hires, each one is different and we tailor them closely to specific needs, please call us and we can discuss some ideas and give you an outline of price. Additionally our campers are available for all other kinds of chauffeured hire subject to availability. Please contact us to specify your requirements. Are you looking for a very special and original gift? 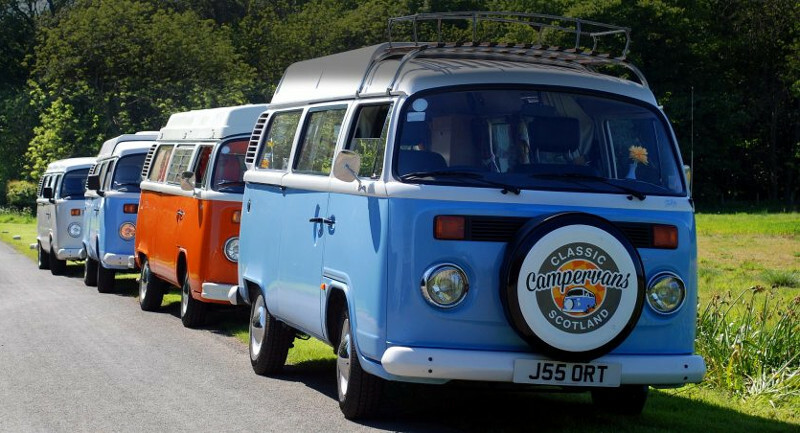 We might just have the answer – a voucher to take one of our classic campervans on a road trip. You can choose just how long you would like the trip to last starting from a minimum 3 day low season voucher. From as little as £300 a fabulous classic campervan is available and can be hired under the same terms as the standard hire package. Once you’ve decided on the duration of the trip the voucher can be purchased. We will send the voucher in PDF format so you can print it and enclose it inside a card. The recipient can then visit our site, choose the campervan and dates, fill in the Booking Form and make the reservation.